As one of history’s most famous medical doctors, Maimonides, wrote a wealth of medical treatises. Amongst his better-known writings is the Regimen of Health (Regimine Sanitatis), which discusses the connection between mental and physical health, especially in relation to stress and anxiety. While the relationship between mind and body has only been acknowledged by the medical world in the last hundred years, Maimonides was aware of this connection and wrote about it back in the 12th century, making him a pioneer in the development of psychosomatics. 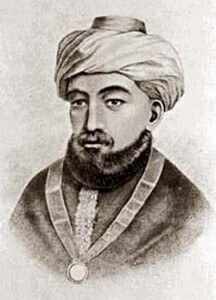 Maimonides’ medical writings were studied widely in the 12th century to gain an understanding of hygiene. The Regimen of Health in particular caught the attention of others in the medical f3ield, and was used as a textbook in academies and universities. Later on, in 1477, a Latin edition was published in Florence. Being printed so shortly after the invention of the printing press confirms the stature of this treatise. In particular, the third chapter intrigued many in the medical field since it contained Maimonides’ concept of a ‘healthy mind in a healthy body’. He detailed his medical knowledge with psychological and nutritional insights, and herbal prescriptions for stress and anxiety. If emotional stress is maintained for a long period, one will definitely become ill. Constant anxiety damages the body. Emotional experiences produce distinct changes in the body… Emotions also have an effect on the circulation of the blood and the functioning of one’s organs…They affect the body and they in turn are affected by the constitution of the body. The physicians have instructed that one must pay attention and constantly consider ones emotional activities. Maintaining them in equilibrium, during health and illness, must take precedence over any other regimen. 2. Or one thinks of something that may occur in the future like a possible loss or injury and one fears their coming. Yet it is known through rational observation that thinking about the past is of no benefit at all. Sorrow and grief over the past are activities of those who lack the influence of the intellect. There is no difference between a person who grieves over lost money and the like, and someone who grieves because he is human and not an angel, or a star, or similar thoughts which are impossibilities. The formula contains ingredients that are considered some of the most effective herbs for stress today. For example, the University of Maryland Medical Center (UMMC) suggests Lavender as a herbal remedy for anxiety. Borage oil contains high quantities of the essential fatty acid gamma-linoleic acid, GLA. Borage oil works to help to stabilize the adrenals and produce adrenaline, which helps the body to cope with stress. Rose hip extract may be beneficial in treating anxiety and fatigue. Lemon peel helps relieve mental fatigue, improve mental clarity, alertness, and memory. It may also aid in depression, anxiety and promotes restful sleep. It is clear from Maimonides’ Regimen of Health that he believed that stress and anxiety should be treated with a combination of psychology, herbal formulations, diet and exercise. Each component is necessary as a combined holistic approach for achieving effective long-term results.